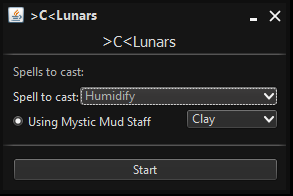 This script will cast your desired Lunar spell for Magic and potential Crafting XP gain. 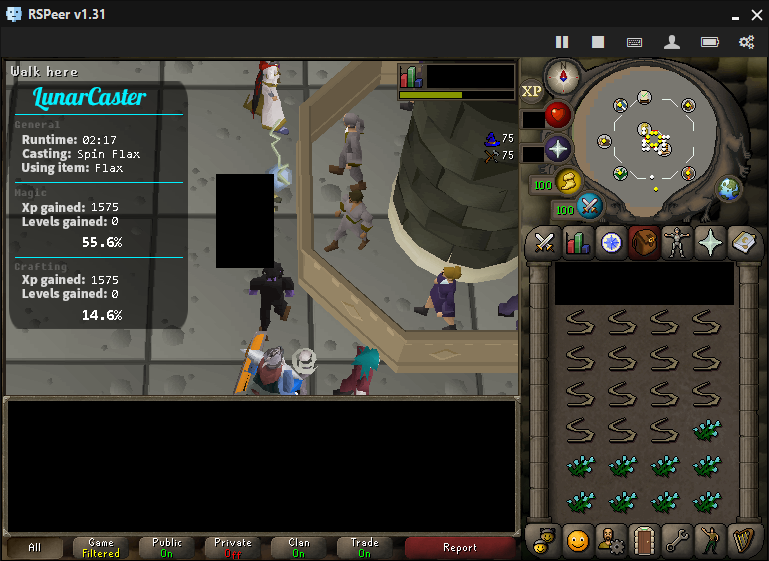 Start script near any bank with needed runes in inventory. Does this do giant seaweed as well? @Cas would you add break handler? Hey, so, just wondering what the cast rate per hour on giant seaweed was. Currently swagzini's hitting around 630 with regular seaweed and I was wondering if any updates had fixed the speed since I first tried the script (first day of release). I cant choose giant seaweed, under superglass. is it just me? when using mystic battle staff it only withdraws 26 soft clay when it has room for 27, any fixes?